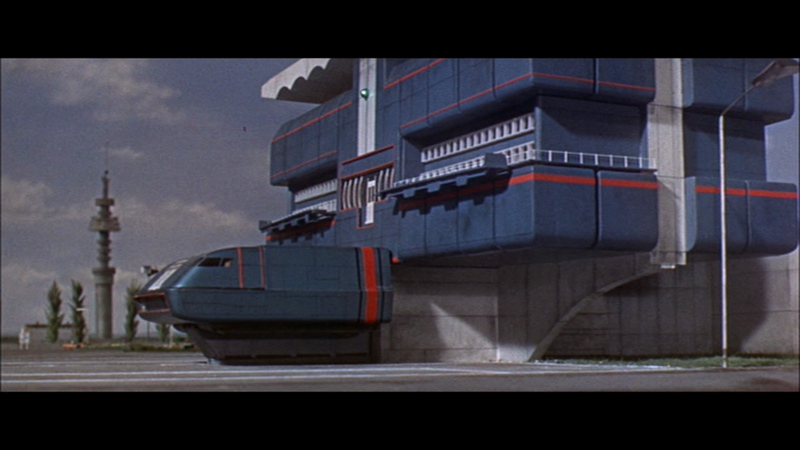 Thunderbirds is a 1960s science fiction television series created by Gerry and Sylvia Anderson and produced by AP Films using marionette puppetry and model effects termed Supermarionation.In 1966 the series spawned a feature length film - Thunderbirds Are Go, concentrating on the Zero-X spacecraft mission to Mars and inspired by the space race of the 1960s. 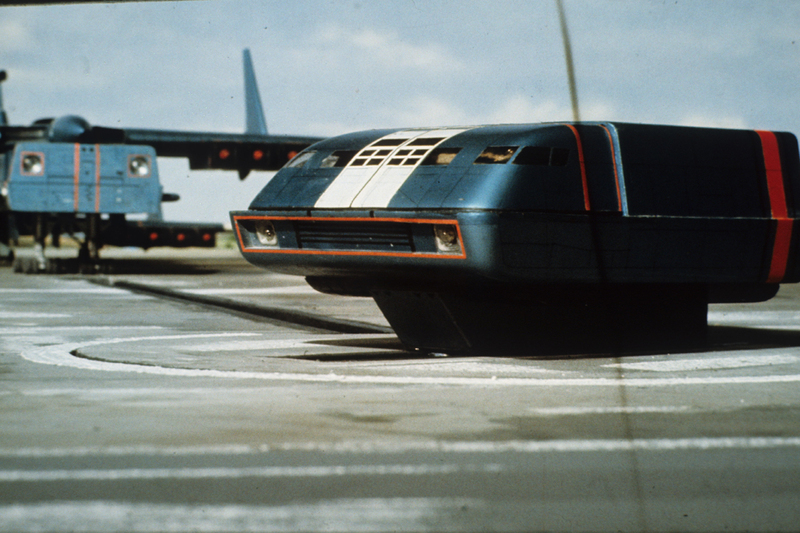 With a budget of £250,000 this big screen adaptation was set to be bigger and better than anything AP Films had ever produced, puppets were revamped, the Thunderbird filming miniatures rebuilt with greater attention to detail and the Zero-X was born, designed by now legendary special effects expert Derek Meddings. 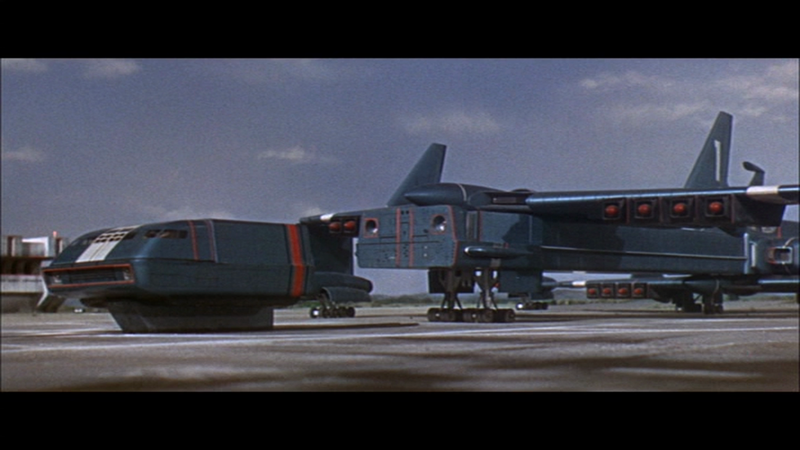 Mastermodels of Slough who had previously built a number of principal filming miniatures for Anderson productions were approached to construct the Zero-X spacecraft, built in two scales with the larger measuring seven feet in length, fifty pounds in weight and at a cost of £2,500. 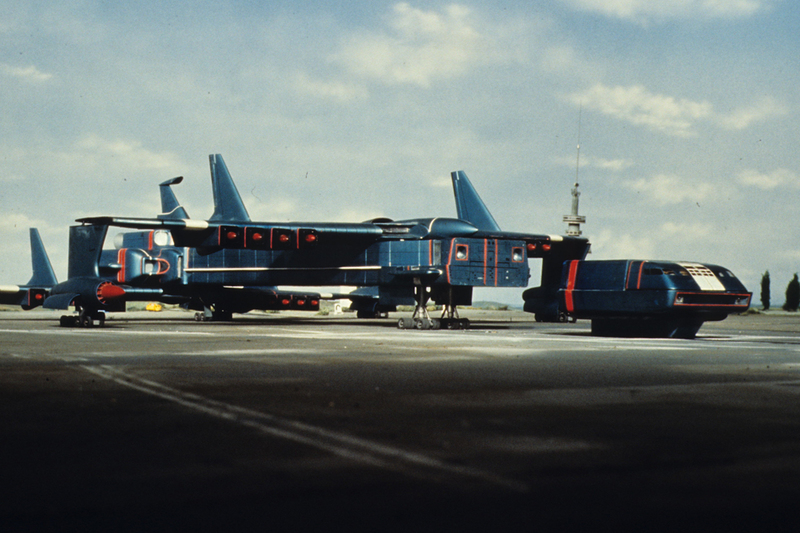 Derek Meddings and his team of effects technicians handled all of the models effects work for the film, to handle the scale of the work two buildings were purchased on the Slough trading estate where much of the production was filmed. 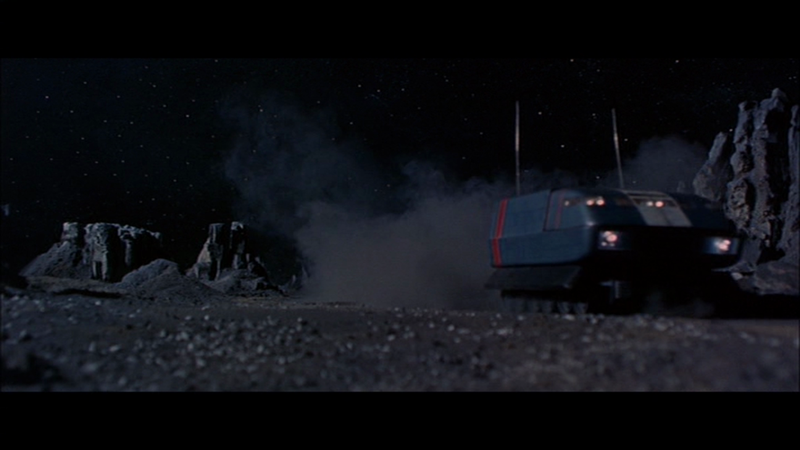 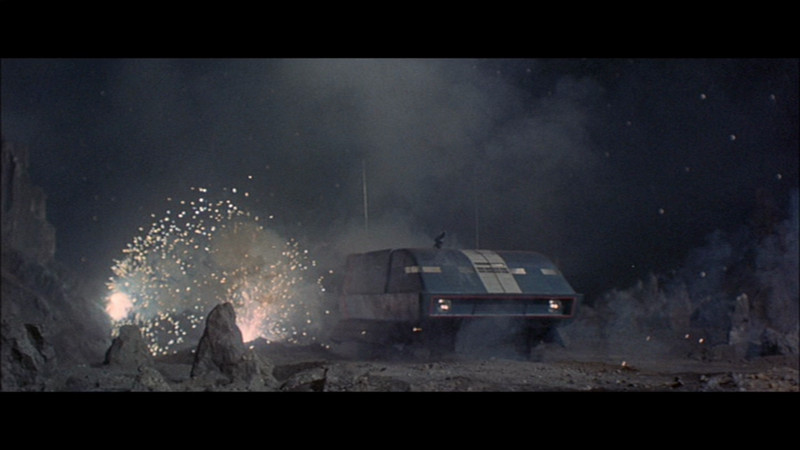 The team spent six months filming over 300 model effects shots including Thunderbird launch sequences, FAB 1 car chase, Martian surface and the incredible runway and launch sequence at the beginning of the film which at the time was arguably one of the most impressive model effects sequences ever accomplished. 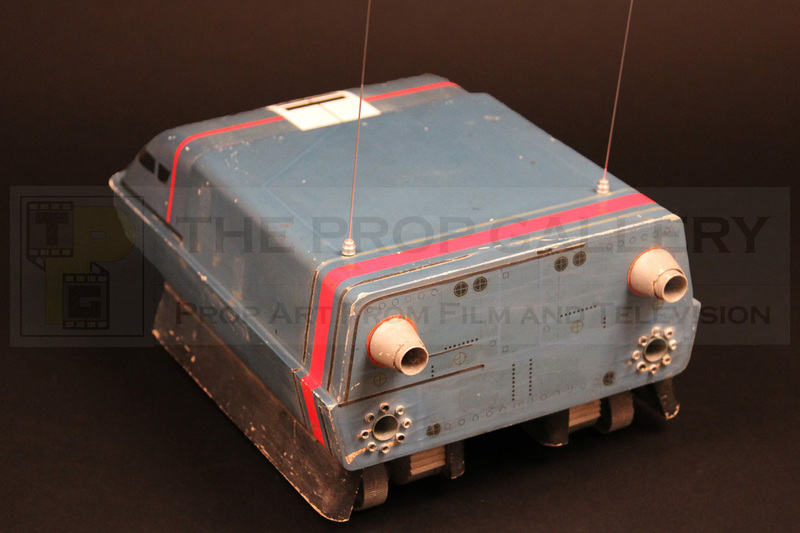 The talent of Derek Meddings did not go unnoticed; going on to work on James Bond and Superman he has inspired many effects designers in the industry today. 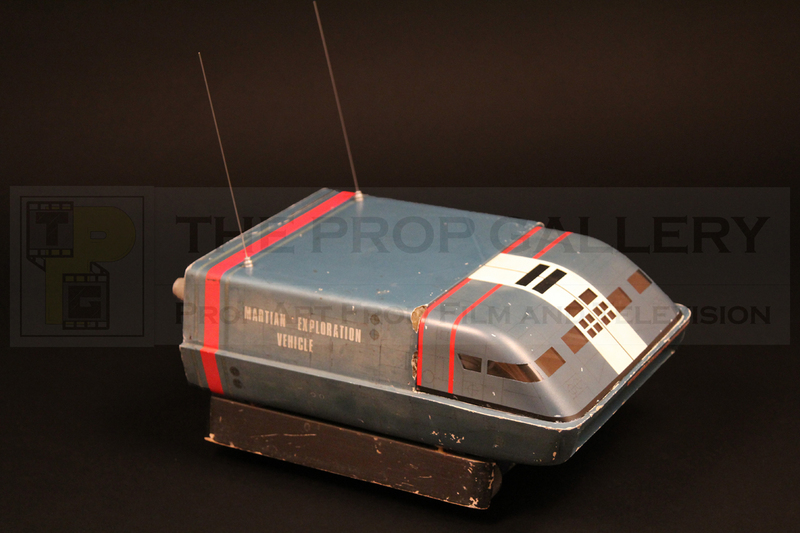 In 2012 The Prop Gallery acquired the large scale Zero-X command module filming miniature, although it had survived the ravages of time in generally excellent condition it was sadly missing the front canopy. 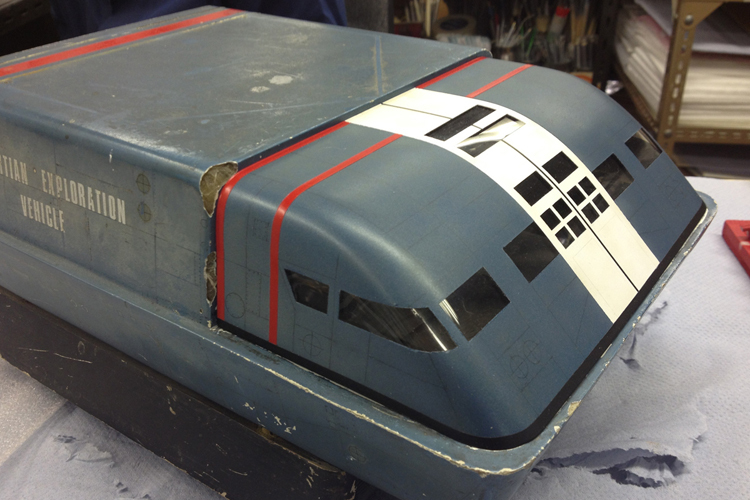 Being such an important focal point of the model the decision was quickly made to replicate a canopy, this had to be done as accurately as possible, with materials sympathetic to the original. 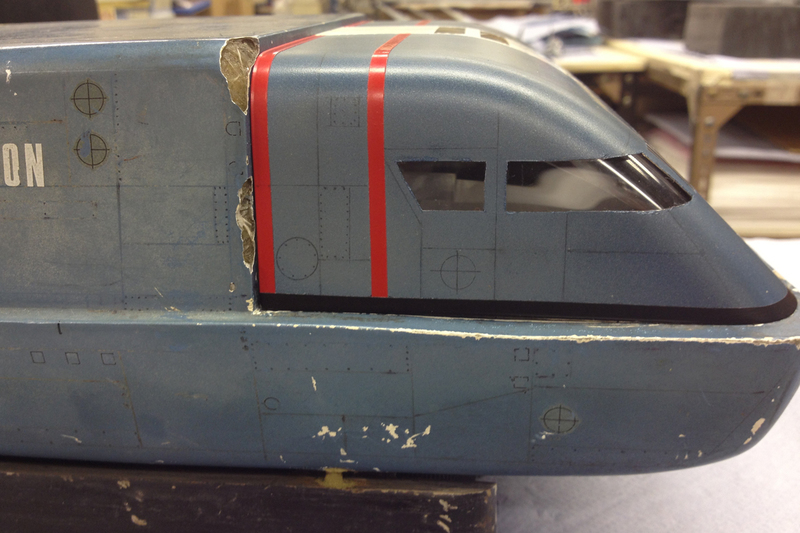 The only people for the job were Mastermodels, the original makers; still trading today the company is run by Andrew Barr whose father built the model almost 50 years earlier. 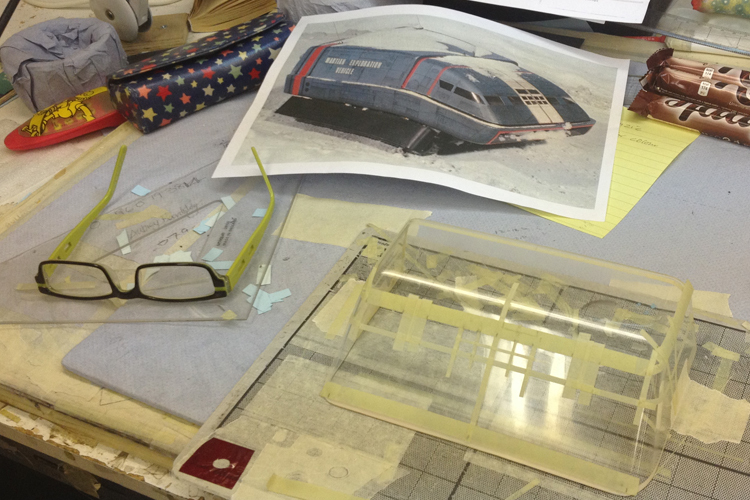 Andrew was immediately excited to see the model and was very enthusiastic about replicating the canopy and so after much planning his skilled team set to work. 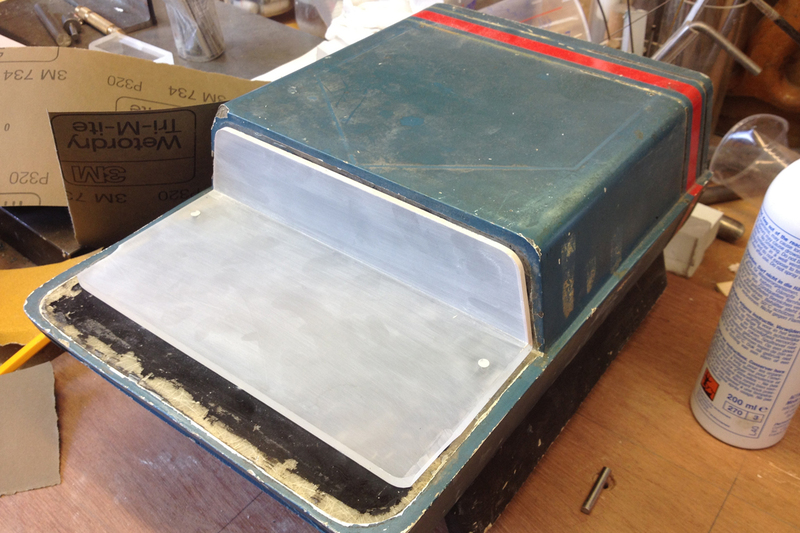 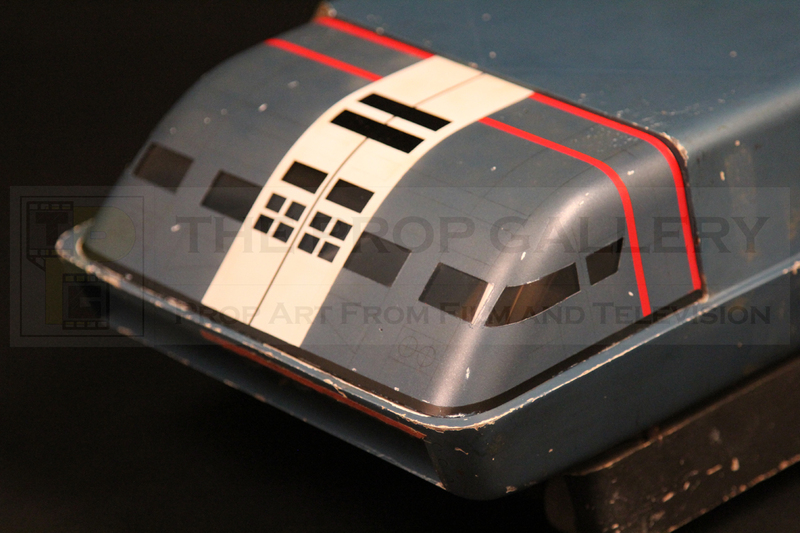 Firstly a wooden master plug was hand carved and a plastic canopy heat formed around it; the window locations were carefully measured and masked off for painting in a number of stages before finally weathering the finish to match the original paint as closely as possible. 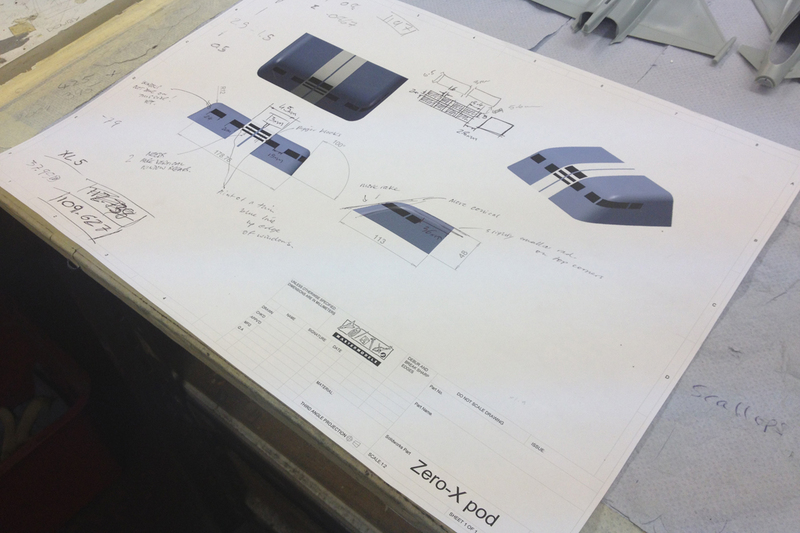 Every aspect was meticulously planned and delicately executed in order to get the finished article as accurate as possible, a process that took around six months from start to finish. 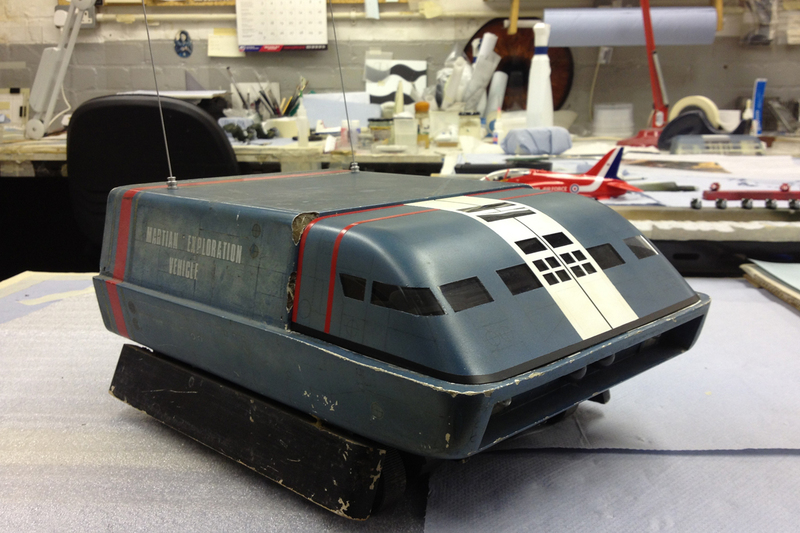 The finished article is an incredible spectacle and represents arguably the most significant Thunderbirds filming miniature known to exist today. 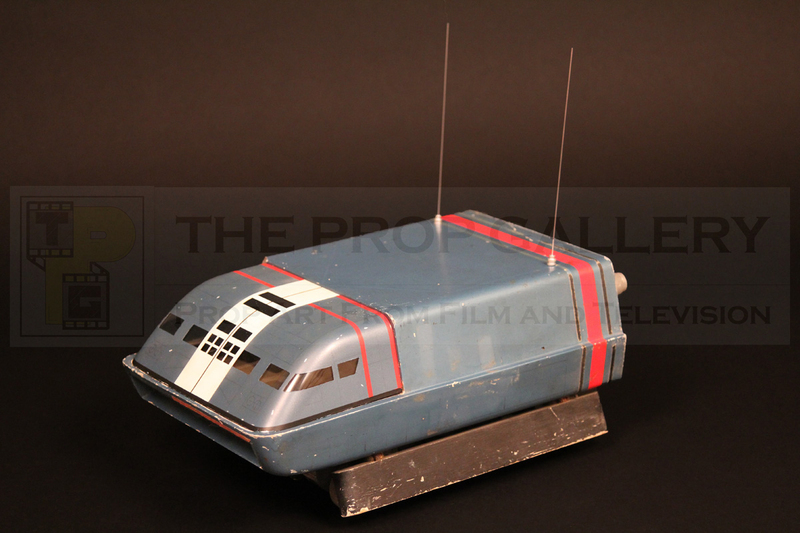 Heavily used during the production including all the runway scenes at the beginning of the film where it can be screen matched by a number of panel line details the model went on to be reused on the martian surface and in the first episode of Captain Scarlet and the Mysterons providing the only link between the two series. 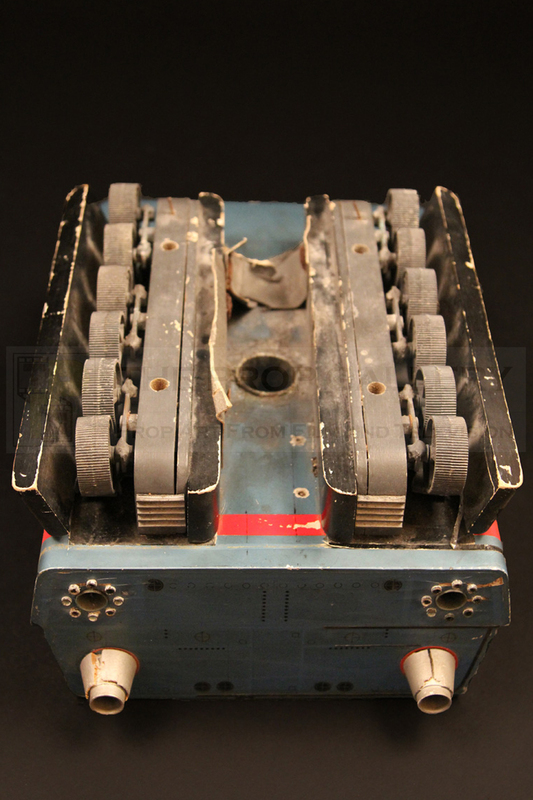 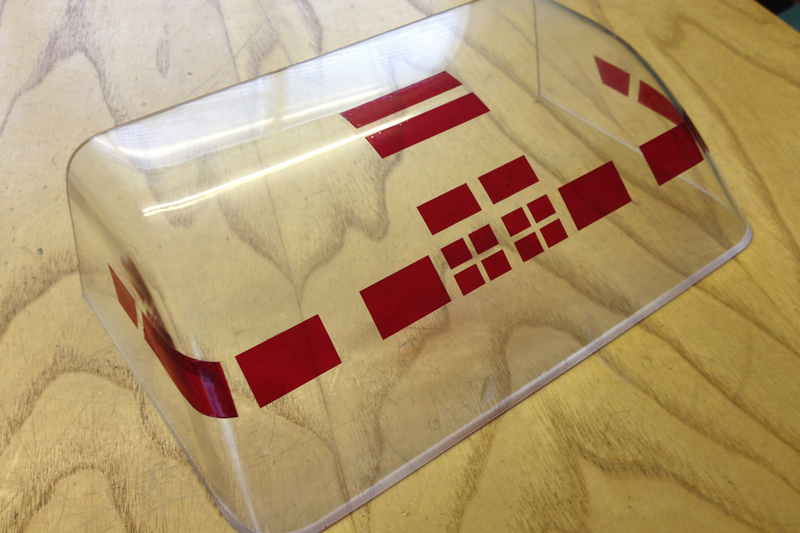 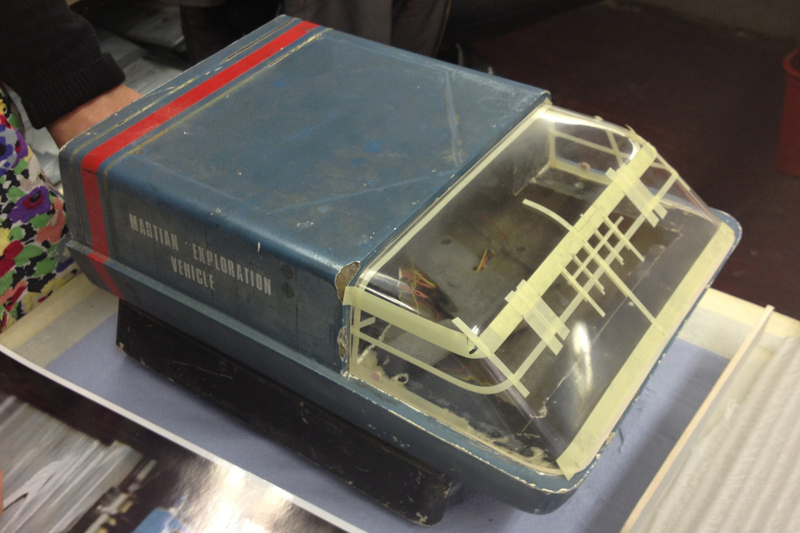 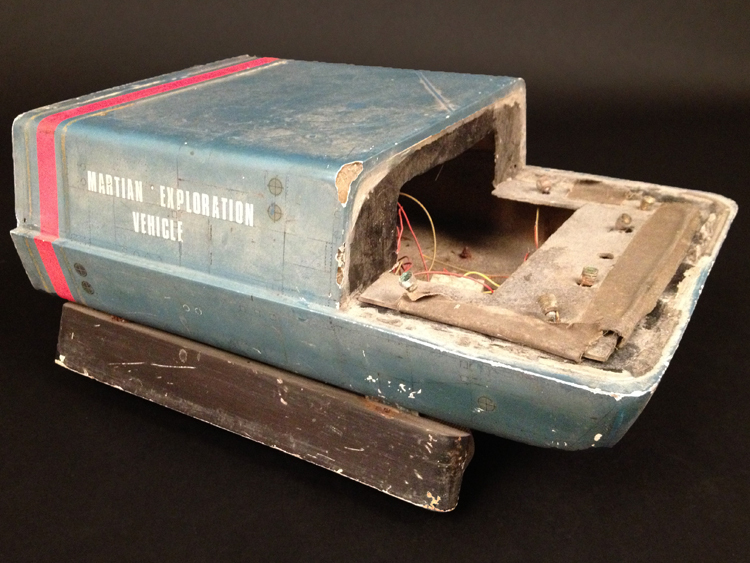 A significant artefact from the early days of miniature effects work as we know it today and a memorable chapter in the legacy of Gerry Anderson, one of the most celebrated and pioneering television producers of all time. 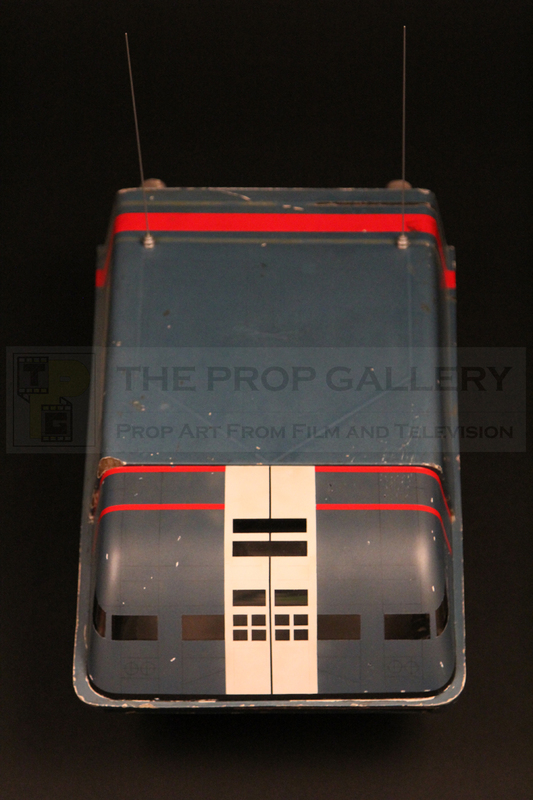 The Prop Gallery would like to thank Andrew Barr and the team at Mastermodels for their assistance in this project.